CARBONDALE, Ill. — New and creative recreation concepts that connect with the environment like never before are on display this week at Southern Illinois University Carbondale. The Sustainable Eco-Recreation Open House returns to campus on Thursday. The event, which showcases novel machines and sustainably powered forms of recreation, runs noon to 1:30 p.m. in the rotunda outside the John C. Guyon Auditorium at Morris Library. The event is free and open to the public. The event, which first presented student designs in 2017, is part of the Sustainable Eco-Recreation Program, funded by a grant from the SIU Green Fund. The program promotes recreational use of Campus Lake in various ways that support the health of the lake and its users. Students will present their novel machines aimed at promoting sustainably powered forms of recreation that promote the health of both humans and Campus Lake. Marjorie Brooks, associate professor in the zoology degree program, said the event also highlights some of SIU’s many strengths, including hands-on student learning, faculty and student engineering and design and cross-discipline cooperation. 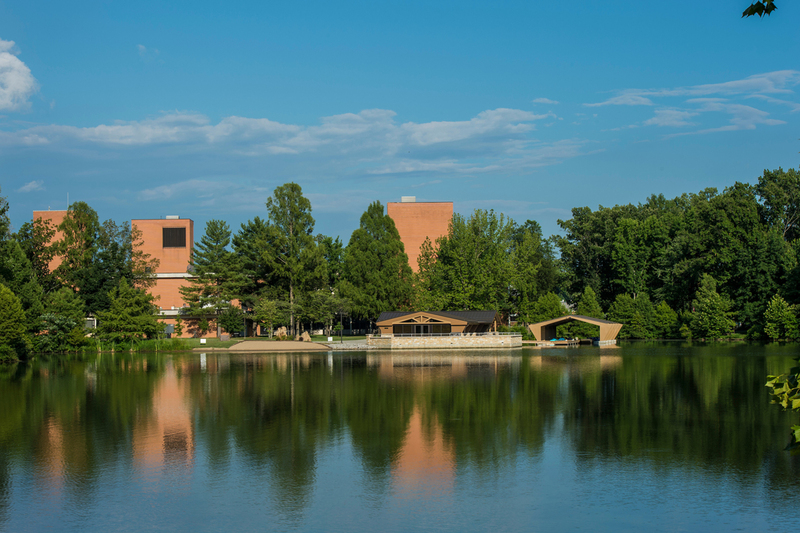 “It shows how SIU comes together across departments, colleges and disciplines to tackle the worldwide problem of harmful algal blooms in urban lakes,” Brooks said. Campus personnel and departments involved include those in zoology, physical plant, recreation, as well as the colleges of engineering and science. Brooks said finding a solution to this problem will require bonding the concepts of human and ecosystem health together, while providing an educational and public outreach experience. Student learning is a key aspect to the effort in many ways, Brooks said. They get the experience of tackling a real-world problem and also the experience of designing sustainably-powered forms of recreation that aerate and cool lake waters, which inhibits harmful algal blooms. Wireless, solar-powered air and temperature sensors that can be connected to monitors on public display in an effort to connect people with the natural world while we go about our daily lives. Solar powered fountains that will lay out an obstacle course for kayakers and paddle boarders with arching fountains at the start and finish lines. One of the fountains will be on display at the open house. Other fountains, which were designed last year and deployed in the lake last summer, also will be on display, demonstrating the design’s durability. Pedal-powered pumps on stationary bikes are in the planning phase. The bikes will power fountains in the lake, and thus link exercise with an immediate visualization of outcome. SIU has long been a leader in promoting sustainability, winning national recognition for its efforts on multiple occasions. The new lake project is one of the 181 projects that have been funded to the tune of more than $2.1 million since the inception of the Green Fee in 2009 as the result of a student-led initiative. The cross-campus Sustainable Eco-Recreational Project partnership was awarded a $29,777 grant by the Sustainability Council in spring 2017 and a $30,388 grant in 2018.